With the first round of match-ups under its belt, Injustice: Gods Among Us has officially kicked off the quarter final match-ups for the Battle Arena Tournament. All of the previous battles managed to bring fans two individual fights, but the battle arena has now undergone a slight change in the way it operates. Kicking off the fifth week of brawls, NetherRealm has decided to pit eight fighters against one another, in four separate match-ups. First off, we have Wonder Woman and Batman clashing in a symphony of Amazonian prowess versus technological marvel. Then, the lightning fast speed of The Flash will face off against the endlessly flowing punchlines of The Joker. Coming third will be the king of the sea, Aquaman, facing off against the cosmic defender Green Lantern. Last, but certainly not least, will be the Man of Steel facing off against the Green Arrow. Now, maybe it’s just me, but there’s something that seems unfair about Superman facing off against an archer. Regardless of what is fair, your votes will be the ultimate factor in deciding who takes home the crown, so anything is possible. After you’ve caught up on all the juicy details, be sure to head over and cast your vote here, then head on back to let us know who you voted for! 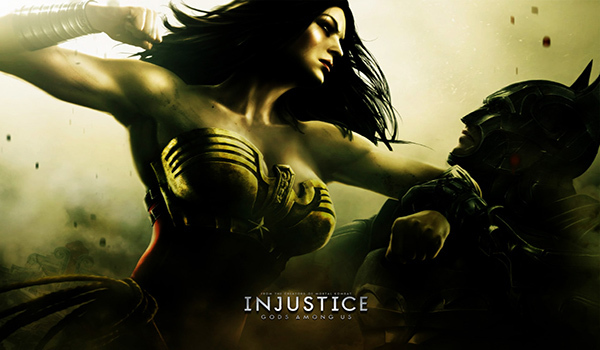 We will continue to provide coverage for Injustice: Gods Among Us as we eagerly await to pummel DC’s finest into a pulp.